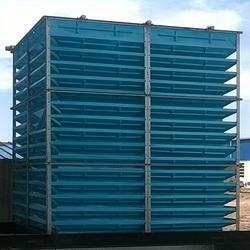 Leading Manufacturer of frp natural draught cooling tower from Gwalior. With the broad experience and knowledge in this respective field, we are betrothed in offering optimal quality FRP Natural Draught Cooling Tower. The offered product is designed with the aid of supreme-quality components and cutting-edge machineries that are facilitated in our production unit. Patrons can buy this product from us at pocket-friendly rates.